Health is a great blessing given by God. We should have to protect this blessing by eating good balanced diet for getting Secrets Of Happy Life. Many people take balance diet but their ways of eating or style of living are wrong so they can not get benefit from their diet ,which that should be get from balance diet. 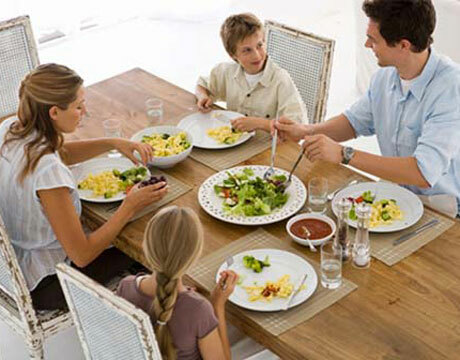 Many people take balance diet but their ways of eating or style of living are wrong so they can not get benefit from their diet ,which that should be get from balance diet.Due to wrong and unhealthy eating style mostly People increase weight,and they can not achieve the benefits balance diet because of a non-balanced lifestyle . Better lifestyle habits adopted for the food to be good and to get rid of bad habits. Sometimes we do not even know that we’re eating many such kind of market things which are harmful for our health. Unbalanced health foods and cola market drinks are affected to our health greatly. Following are describe the eating bad habits ,it is very important to get rid of them,if you found them in yourself you’ve decided to take it away forever and will adopt healthy lifestyles. Eat Quickly is one of the most bad habit. You must get rid of it. Hastily eat without bite the food its increases the workload on the stomach, because off hastily eating food we do overeat , as a result our belly swells. We should not forget that our brain receive this message a few minutes later. A few minutes after the signal sent to the brain that the stomach is full and then we get the feeling of abdominal bloating, So, eat slowly and bite the food very well so that stomach have not to do overwork and food will easily digested. Don’t eat during walking or driving If you want to live a healthy life then give up this bad habit. When driving, walking or doing something else eating and drinking should be avoided. These unhealthy behaviors.During watching TV or sitting in front of computer and taking meal also means To focus on other activities and as well eating meals at the same time is harmful,because during taking meal our focus or attention should on meal or food rather than on a TV or computer. Unconsciously we have eaten too much food which is harmful for our health. You should try that your mood should not effected to your eating or meal,means in every kind of situation try to eat meal, The best and most easy solution for depression is Walk or Exercise.If you have a sincere close fellow you can share your problem with him or her it will also reduce your tension. Sweet goods are usually eaten after meals. Sweets gives energy but calories increases. Our body gets energy from sweets but we should be eaten sweet in moderation. The meal at night before bedtime is a bad habit. Never eat a meal before going to bed. The biggest disadvantage is that it gets shortened our sleep and we also sleep as long as they are not full and complete. learn more how to get good sleep. Eating late at night causes our stomach that can not to digest food properly, spoil our digestive system , so always take meal at least two hours before bedtime or sleep, our stomach and other organs of the body are also required rest. you eat on time with good eating habits. Chewing and eating a meal properly . Make a habit that drink water before meal don’t drink after a meal to drink .